I’ve been back for a week now, and there have been some changes. One change is that my trailer is surrounded by blast walls that are 12 feet high. 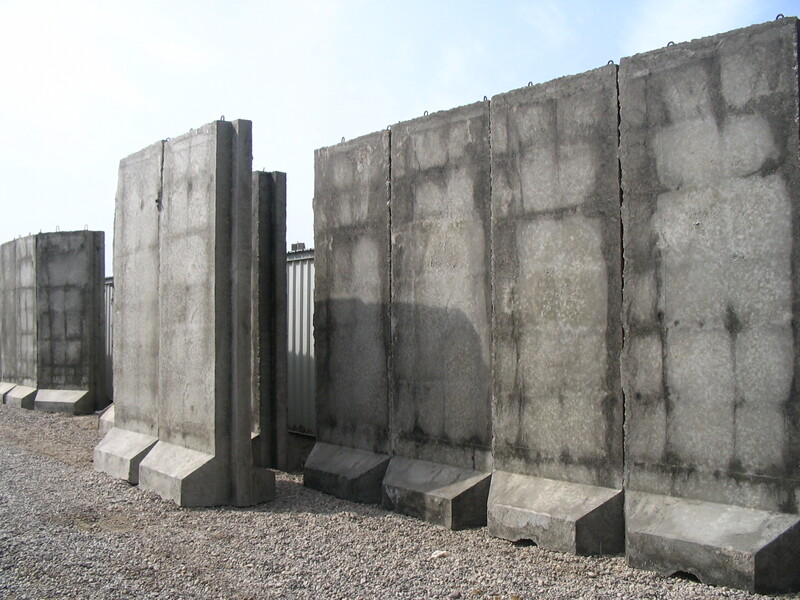 These concrete monoliths are all over the country. I can imagine some future archaeologist wondering about the purpose of these great stone artifacts, and debating about whether we would have, given time, reached the sophisticated level of the Easter Island culture. Two reminders of home today: first, an Air Force captain approached me at breakfast and said that I was his freshman philosophy professor at OBU. It would have been the first year that I was an adjunct there. Second, the Oklahoma National Guard moved into Baghdad. It’s good to see the Thunderbird patch again. Posted on February 17, 2008 April 22, 2017 by Randy Ridenour	This entry was posted in Uncategorized and tagged Army, Iraq. Bookmark the permalink. I thought I would let you know that my brother is over there with the OKARNG. If you see anyone with a Thunderbird patch and the last name ‘McCary’ that would be him. I hope your remaining time in Iraq goes quickly and smoothly. I hope you don’t get used to the landscaping over there. I really don’t think it would look quite right around our house! Stay safe! We love you! In another twenty years after the oil is gone the barriers will make nice camel corrals.